Of all the reasons people cite as benefits of autonomous vehicles, one hasn’t gotten much attention, Johana Bhuiyan writes for <re/code>. According to Bhuiyan, disability advocacy groups may be the best allies auto and tech companies will find in the push for a national regulatory framework for self-driving cars. At a public meeting Wednesday, speakers for the disability community addressed the National Highway Traffic Safety Administration (NHTSA) on the topic of planned guidelines for self-driving cars. Another example: The California Department of Motor Vehicles’ rules requiring self-driving vehicles on public roads to have a steering wheel and a licensed driver behind the wheel in case of emergencies would prevent many members of the disabled community from using self-driving vehicles. NHTSA’s model state policies for [autonomous vehicle] operating or licensing users must preclude discrimination on the basis of disability by states or any government entity. Chris Urmson, director of Google’s self-driving cars project, is another person unhappy with California’s draft regulations, which were released last December. 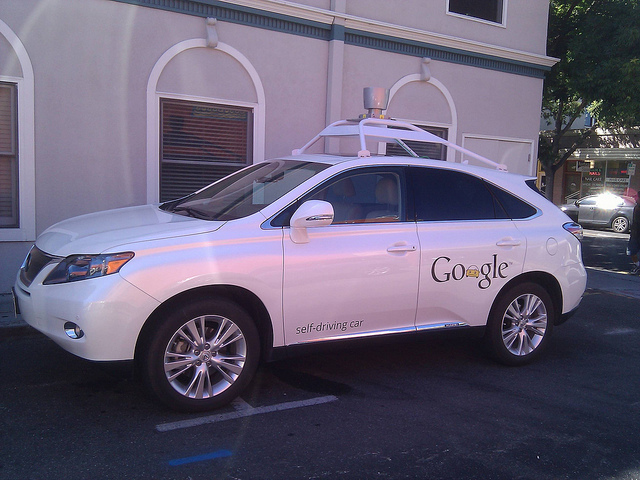 He said Google would not be able to provide its self-driving cars in California if the rules were to stand as drafted, Ben Miller reported for GovTech.com earlier this year. Google’s 33 self-driving prototypes are fitted out with a removable steering wheel and pedals, writes Marisa Endicott for Medill News Service in an article appearing on McClatchyDC. Teresa Favuzzi, executive director of the California Foundation for Independent Living Centers, said the disabled community hopes for turn-key autonomous vehicles that do not have to be modified after purchase. Indeed, NHTSA Administrator Mark Rosekind said last month at a self-driving vehicle conference in Detroit that the technology promises new options in mobility for such people as the disabled and the elderly. […] unfortunately, the disabled community has been seriously misled by people into thinking that somehow they’re going to have automated vehicles driving them wherever they want to go in the near future. That’s just not going to be feasible. When that time comes that there actually are cars on the road that are reliably capable of navigating without any intervention from the driver, we intend to be part of that group. In 2012, Google celebrated having safely completed 200,000 miles of computer-led driving, by giving a blind man, Steve Mahan, a ride in one of its autonomous cars. The self-driving Toyota Prius picked him up at his home, took him to a Taco Bell and the dry cleaner, and brought him back. Image by Mark Doliner, used under its Creative Commons license.